Eton Mess is a simply gorgeous summer dessert. It just is. I decided to make it to celebrate the lovely weather (that, and it's on the list and I had leftover meringue from my Meringue Gems). I like to mix strawberries and raspberries in Eton Mess - they add a slightly tart taste (especially as they're not in season now!). It's such a simple dessert but so lovely - the fresh, sweet berries with the crunchy, slightly chewy meringue against the smooth, soft whipped cream. In a way, it's almost like Strawberry Meringue Cake minus the cake part. A lot of store bought meringues distress me. So often they just turn into dust and taste of absolutely nothing. For this I wanted more than white chunks of glued together dust so I made my own. I like my meringue - especially in Eton Mess - to be crisp golden chunks with a bit of soft marshmallow in the middle and a fair amount of sugary chew. I find chucking the bits post-chunking up back in the oven before serving helps this goal. A few additions/changes can easily be made - a little bit of balsamic tossed with the strawberries could be nice. I think Delia purees some of the fruit to marble through the cream. You don't really need a recipe for this - it's just a good amount of lightly whipped cream, a load of berries and a bowl of meringue chunks. Follow this guide to make a batch of meringue nests and leave them to cool. Just before serving, crush the meringues up into bits and if desired, pop back in the oven at 150C for ten minutes or until they're a bit crunchier and golden on the outside. Chop the fruit up a little so that the juices are let out - I quartered my strawberries and halved the raspberries. Softly whip the double cream. Mix it all together with 2/3 of the fruit ad all but a few pieces of meringue, then serve and top with the remaining fruit and crumble a little bit of meringue on top. I have been searching for this recipe since first visiting England! I'm so glad you've finally ended my search. This one looks like the the one I was served. I can't wait to try it! As an avid anglophile, Eton Mess is one of my very favorite English desserts! Yours looks yummy! And thanks to my British friend who lives in Wimborne, I now know what a punnet is! I love Eton Mess, it really is so summery. I love the mix of strawberries and raspberries too, they go so well together. An ideal summer dessert. Looks fab - I want a bowl right now!!!!! Uhm, YES PLEASE! 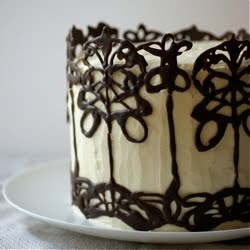 I am making this as soon as the strawberries start blooming! thanks for the recipe! i love eton mess !!! at my Aunty and Uncles wedding my Uncle and someone else had to eat eton mess with no hands it was so funny then they had a race my Uncle won but he had to wash his face because there was cream and chocolate all over !!!!!!!!!! !